Alongside Cormell’s and S C Morris’ retail outlet stood a substantial property which by 1948 was numbered 12 Tivoli Place. This was for many years a Fancy Draper and Haberdashery shop, run by a Mrs Godwin in the 1860s and from the 1890s until 1905 by the Misses Launder. 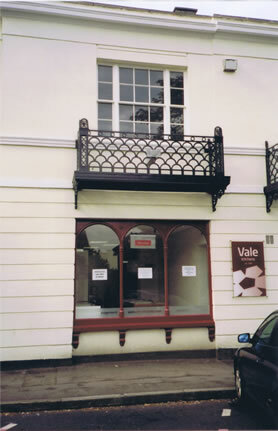 They also ran the Tivoli Post Office as part of their business. From 1905, the business passed to Miss E S Small, and in 1915 it was taken over by Miss E Brain who continued in business until at least 1961.